The Journal is a magazine published in April and October featuring articles relating to local, state and national education issues. 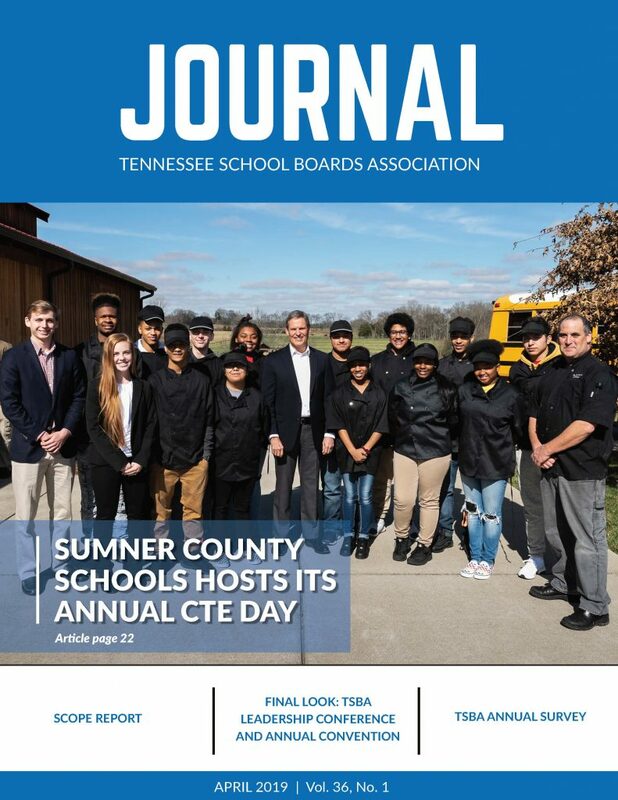 The magazine is mailed at no additional cost to all members of the Tennessee School Boards Association, superintendents and state legislators. Individual print subscriptions are also available at $20 per year. For more information, please contact TSBA at (800) 448-6465. To access the latest Digital Journal Edition click the issue below. decision-makers in Tennessee’s public schools. Our readers pay attention to what’s in the TSBA Journal! The TSBA Journal is published in full color two (2) times a year in print and digital form (April and October), averaging 40 pages per issue. The content of these issues are distributed via print copy and through our digital version to over 2,200 individuals. It is also posted on our website and promoted through our social media channels. For more information, contact the TSBA Communications Department at communications@tsba.net.